Because the term “pelagic” may include many different species, the update of the General Management Plan of CINP is intended to focus mainly on the species that are important for management purposes. In short, the hammerhead shark (Sphyrna lewini) is the distinguishing species of CINP (emblematic), and it is the species that mostly motivates visitors to dive in authorized sites. This is a pelagic-coastal and semi-oceanic species that carries out extensive migrations. It is found in the tropical and subtropical regions and is probably the most abundant species of the Sphyrnidae family (Compagno et al., 1995). There are several pelagic species that visit or that are found in CINP included in CITES Appendices I and II and in the IATTC agreement. CINP, unlike other islands of the American Pacific Ocean, is covered by evergreen forest because it is located in the Intertropical Convergence Zone. This ecosystem is distributed throughout the terrestrial part of the island (ONCA and ACMIC, 2007), covering a total area of 2,330 hectares. As in other oceanic islands, its vegetation is relatively poor in terms of number of species when compared to continental zones, but it has high levels of endemism (Montoya, 1990). The majority of the native flora (70%) has its origin in Central and/or South America; the rest (30%) is pantropical. Approximately 47.1% of the diaspora of native plants arrived dispersed by the wind; 11.5% arrived by water; 26.7% came in the digestive tract of birds; and 14.7% arrived in the body of birds (Trusty et al., 2006). By 2006, 366 species of vascular plants had been identified, of which 263 (72%) are native, and 103 (28%) are introduced (71 as of 2004 according to Trusty (2006), plus 32 new species between September 2005 and November 2007, identified by the same author). There are 37 species of endemic plants. 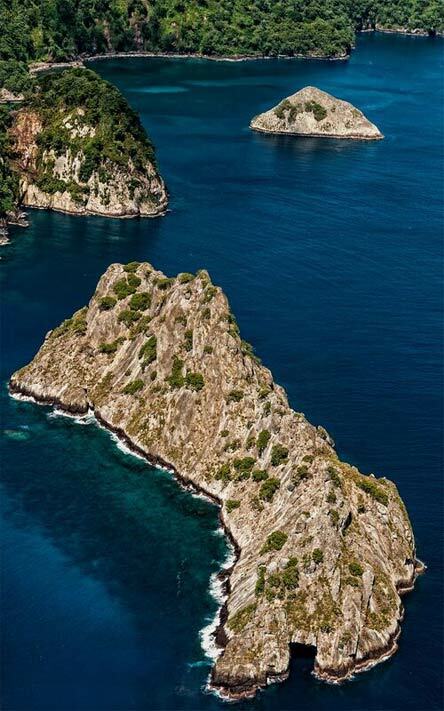 CINP is an oceanic island; it really is an emerged underwater volcano. It is identified as the only subaerial outcrop of this volcanic chain or the top of a seamount located 500 km southeast of the continental coast of Costa Rica, with an altitude that rises to 634 meters and 2,574 meters above the seabed. This means that under the water there lies an extinct volcanic system, which was formed from an anomaly of the planetary inner core known as a hot spot or mantle plume where magma is filtered to rise to the surface (ONCA and ACMIC, 2007). 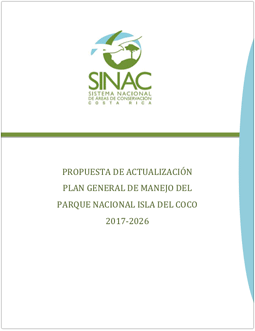 CINP is associated with the Cocos submarine volcanic mountain range, which has seamounts with altitudes that reach between 100 meters and two kilometers. It is surrounded by an 18 km. long platform in southwest-northeast direction, and it presents a change in the slope to about 18 m deep (Cortes & Blum, 2008). Inscriptions on the rocks made by travelers (pirates, whale hunters, other boats) in Chatham and Wafer Bays. Caves and dredging done by treasure hunters. Remains of sunken ships in the bays. Remains of the crashed plane in Cerro Iglesias. Remains of the buildings where the inhabitants of CINP lived in the 1900s.